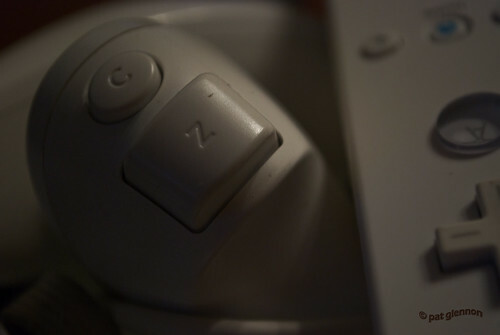 “Z” Is For Z Button (68/365 v2.0) – Annoyingly Boring? 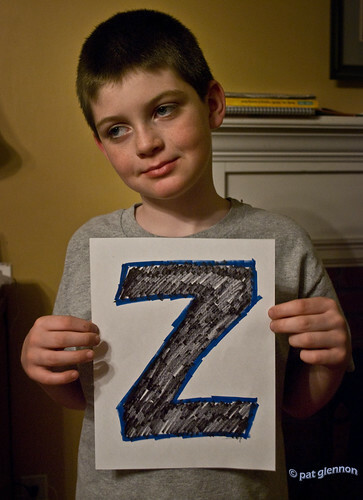 Friday was my son’s 9th Birthday, I tried hard to figure out a way to get him into a Z photo. It wasn’t working. So, here’s a childless Z photo. Oh, and just look how he tried to help me out. So sad that I went with the Wii nunchuck. This concludes my A-Z mini-set. I hope you enjoyed them. I may do it again in the future. oh, he looks so very thrilled to be there. I love that your whole family is involved in your picture taking craziness!! Is Mrs. Annoyingly Boring just out of shot, holding a gun to your son’s puppy to ensure cooperation? POWs at the Hanoi Hilton were more enthusiastic.